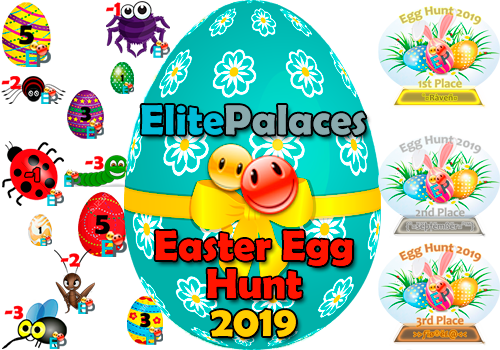 ElitePalaces Events, Easter Egg Hunt 2019! We have winners!!! : We had a lot of fun collecting some eggs and some bugs!! 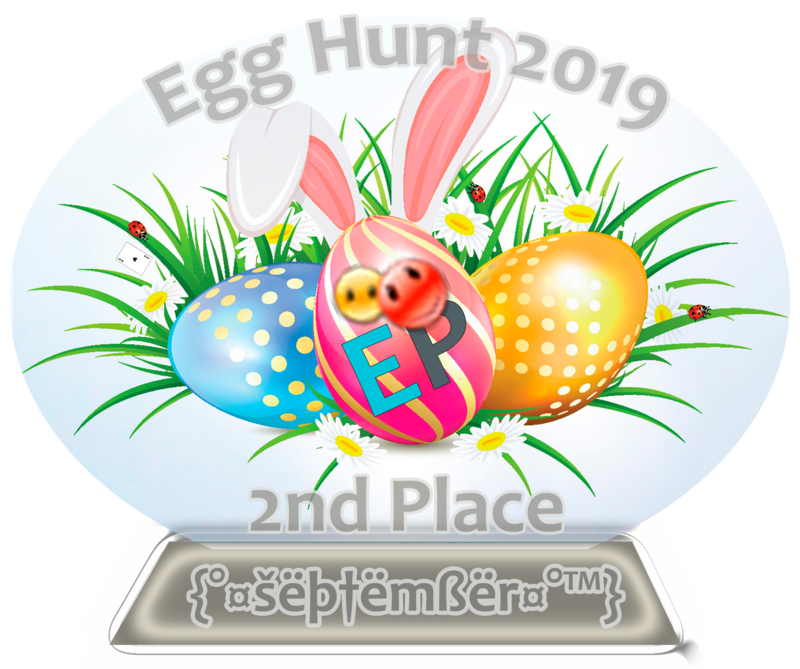 ElitePalaces 3rd Annual Easter Egg Hunt 2019! Our event was really great and we had a lot of fun, thanks to all our friends, users and clients that were part of it, please let us know how much you like it and if you have suggestions for the next year!. (* the time for the free hosted palace or radio deppends if is the 1st, 2nd or 3rd place). This is the list of the first 10 places. If a user collect all the eggs we put around the participating palaces, they were able to get 615 points, but as you know, you can find some funny bugs all around that rest points, so if a user had the bad luck to get all the bugs it can rest 55 points! sooo, if someone find all our hidden things, the user can collect 560 points! - This is the award for our 3 first place winners this year Congrats!!!. Congratulations to you all and be ready for our next events. ElitePalaces is a growing hosting company with more than 14 years of experience having the background to provide an excellent service and support. Owner of PalaceChat software!